Amsterdam has a museum for almost everything. There’s your standard and specialized art galleries/museums (Stedelijik Museum, Rijksmuseum, and the Van Gogh Museum), an opportunity for both education and controversy at BODY WORLDS, a guided revisiting of some of the tragedy caused during the Holocaust at the Anne Frank House, and an exploration of film’s history and future at the Filmmuseum. If there is one thing I wish I had planned better for, it would be the museums. You may need at least a week in Amsterdam to take it all in. And bring a good pair of walking shoes! My privilege was definitely showing during this trip. The Dutch learn English in school and so almost everyone raised in Holland speaks it fluently. Many also speak German, French, Spanish, and/or Portuguese. Several restaurants have English menus and, for the most part, even the DJs (Holland’s largest export, haha) address the crowd in English. Folks will usually begin speaking to you in Dutch but a polite and simple “Do you speak English?” is all that’s needed for them to switch (emphasis here on “polite”). Us North Americans often travel with our assumptions in hand and this was an instance where I definitely had to check mine. WIFI was free at the airport, free on the intercity train, and “free” with the purchase of a meal at most restaurants but it wasn’t free at the library. Be prepared to pay about €2 for access to WIFI for 24 hours. I had heard about this for years but friends still made sure to warn me again prior to this trip. Holland has its own set of traditions when it comes to the Christmas holiday, part of which involves a character unaffectionately called “Zwarte Piet” (or “Black Piet” in English). Zwarte Piet is one of Sinterklaas’ (“Saint Nicholas’”) servants played by a white actor in a curly black wig whose face is painted dark brown with bright red lips. Luckily, I avoided seeing this while there, likely thanks to the work of local activist groups who have been pushing the culture to shift this part of its tradition. However, the advancements seen in Amsterdam have yet to filter out into the smaller Dutch towns so keep that in mind in your travels. 5. Come prepared to network because you will meet interesting people from all over the world. I made some amazing contacts in Holland, both before and during the conference. 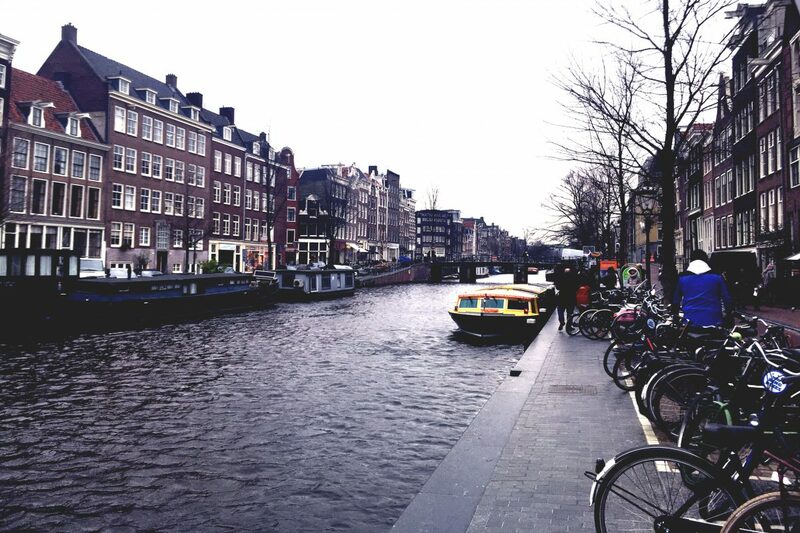 I didn’t realize how significant Amsterdam was as a cultural hub, which not only made the experience important for me academically but it also made it relevant for the work I do in film and media arts outside of school. On more than one occasion I simply stumbled upon artists and artworks that I know will factor strongly in my work and writing for years to come. That said, a key factor in that was the amount of time I had given myself to absorb my surroundings. If you can, I’d encourage you to spend a few extra days in Holland to travel around, visit museums, and absorb the social scene. And talk to people! The world can become so much smaller, and our experiences can become so much richer, with just a little opening up.